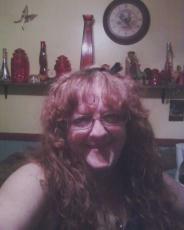 Riss Ryker, a 49 yr. old homemaker, lives with her daughter, Caitlynn, and 3 dogs. She is currently writing for various sites online, hoping to make a name for herself. A quite person, Riss spends her spare time in her flower gardens, or hiking in deep woods with her 3 dogs, Timber, Fia Maria and Addison. Riss has 2 grandchildren, Emma Sophia and Gavin Chase, and she loves to read to them and write them little stories. Riss is a shelter dog advocate.